This is the series which had Queen Elizabeth furious. The BBC was forced to apologise to Her Majesty after wrongly implying that she had stormed out of a photo session with celebrity photographer Annie Leibovitz. 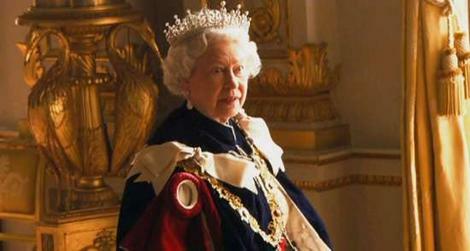 The scene in question shows the Queen forthright over Leibovitz’s posing ideas, one of which was the removal of her crown. But there’s no storming out. That was all trailer spin for the series which is titled in the UK as Monarchy: The Royal Family at Work. In Australia the Nine Network has retitled it as A Year with the Royal Family. UK narrator Tim Pigott-Smith is to be re-voiced by our own Queen Cate, Ms. Blanchett. In this preview that was yet to happen ( I found no problem with Mr Pigott-Smith). Certainly this doco has great access to the interiors of Buckingham Palace. We see the Queen given daily briefings on her meetings, and despite her age it’s clear this alert and opinionated monarch is not about to de-throne herself anytime soon. Padding out the first ep are various palace staff enlightening us as to their duties and routine. With Elizabeth II embarking on a US tour, there is much preparation and protocol in readiness for Her Highness. In other words, Liz actually has limited screen time. I’m really not sure why I had to sit through a White House horticulturalist telling me how long he had dog-sat all the pooches for past Presidents. Similarly there is limited drama. Liz isn’t raising her voice, kicking up her heels or sitting down with a cup of tea and getting hooked on Hollyoaks. Pity. Instead the drama is left to peripheral characters -the paparazzi, jostling for best camera position. For a series that promises a royal ‘family’ I’m guessing they will be revealed to me like characters in an episode of Lost. That the filmmakers have great access to heads of state, including George Bush and Tony Blair, is significant. That all of the talent is on their best behaviour must have been a source of frustration. No doubt as this series rolls on there will be fly-on-the-wall moments (George Bush stops himself from mentioning Queen Elizabeth’s visit in “Seventeen Seventy… Nineteen Seventy Six”), but they aren’t apparent yet. Therefore, this is predominantly fare for Royalists and the royal of heart, rather than becoming the crown jewels of observational telly. A Year with the Royal Family premieres 7:30pm Monday on Nine. Pension off the rest of the hangers-on. What a waste of videotape. Nicely shot, but so they could at the North Melbourne Dog’s Home. Another rubbishy filler program by program starved Channel 9. I saw bits of this when I was in London in December. It looks really good – though why C9 (or WIN in my case) have it, are stuffing with the order and think re voicing it is necessary is beyond me. The fact it has ads makes me want to wait for the DVD. I cant remember who showed it in the UK – I THINK it was BBC2. david, your star rating what it is out if? 3 out of 5 or 6? Oh it really is an affront to humanity how C9 and for that matter commercial TV butches programs. I still wonder why Nine bought the rights to this program when it is more suited to the ABC. And don’t forget the companion book of the same name is now available in bookshops here.